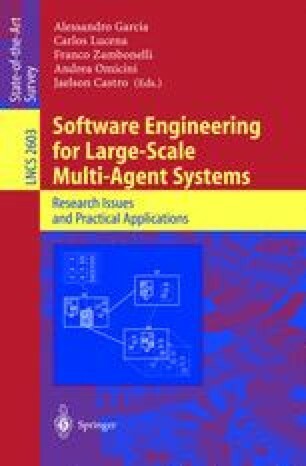 Current software engineering trends are increasingly reasoning about large-scale applications in terms of multi-agent systems (MAS). Along this line, frameworks have been regarded as useful instruments to express a variety of agent models. However, despite the advantages of this approach, the MAS paradigm also introduces additional complexity into the development process. The central problem is that developers usually have to understand, select and organize a broad set of agency features in order to build final applications. Moreover, these features tend to be not orthogonal with respect to object structures. Thus, aspects appear as a promising alternative to achieve a better separation of concerns in MAS. In this context, the article presents an approach called Smartweaver, which basically gives assistance for the development of MAS applications, using a combination of multi-agent and aspect frameworks. A novel aspect of this work is the use of planning techniques to generate sequences of programming tasks to guide the implementation of applications on top of these frameworks. By doing so, the approach allows developers to better take advantage of MAS patterns, components and frameworks.